Shortly after HD Kumaraswamy released the clips, BS Yeddyurappa said he had not met anyone to woo JD(S) lawmaker Nagana Gouda as alleged and that the charge against him was "far from the truth." BJP Karnataka president BS Yeddyurappa Friday rubbished as "fake" and "a concocted story" audio clips released by state chief minister HD Kumaraswamy about his alleged bid to lure a lawmaker to topple the Congress-JD(S) government. Shortly after Mr Kumaraswamy released the clips, Mr Yeddyurappa said he had not met anyone to woo JD(S) lawmaker Nagana Gouda as alleged and that the charge against him was "far from the truth." Mr Yeddyurappa said he went to Devadurga, where the lawmaker's son Sharan Gouda claimed to have met him and recorded the conversation, to visit a temple and flew back to the city. Mr Kumaraswamy had "concocted" the story to hide his failures and inability to keep the JD(S) and Congress flock together, Mr Yeddyurappa told reporters. "It is a fake audio... I have not met anyone. Kumaraswamy is trying to hide his failures. 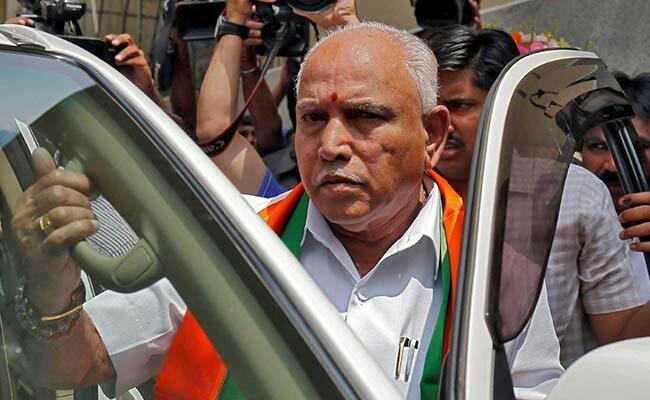 This is a drama," Mr Yeddyurappa said. He said the Kumaraswamy government had lost the trust of the people and had "no moral right" to continue in office. "Kumaraswamy himself is a film producer. He is an expert in voice recording.... whatever the charge he has made is baseless," Mr Yeddyurappa said. He also dismissed a claim by the chief minister that he had spoken in the audio about a "Rs 50 crore" offer to the assembly speaker. "I will retire from politics if it (the allegation) is proved...If I had spoken like this (about the speaker), if it is proved... I will resign as an MLA and quit politics."